The rise of serviced apartments in London is seriously giving hotels a run for their money. These apartments basically combine the conveniences offered by hotels with the comforts of home to provide travellers the best of both worlds. 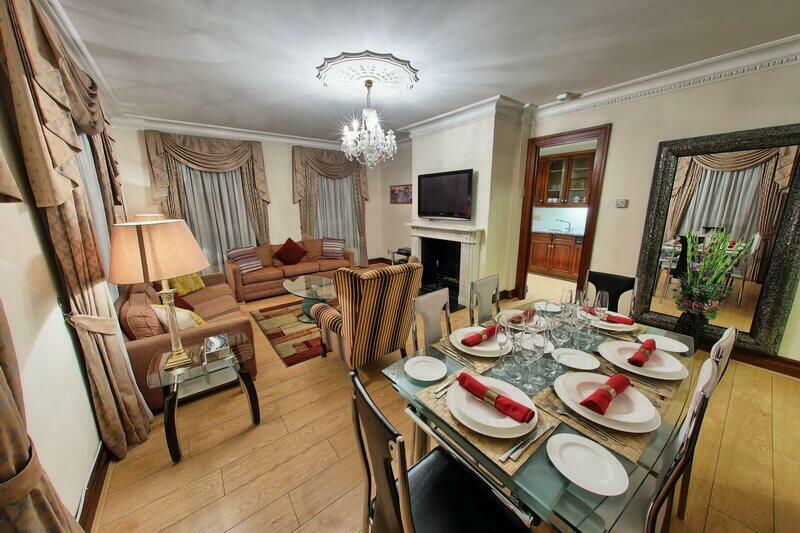 Whether you are visiting London for a short or long term stay, you can check out Carlton Court’s lavish one, two and three bedroom apartments located in Mayfair, London’s safest and upscale neighbourhood. If you are still unsure about choosing our serviced apartments, given below are some of the top reasons to skip your stay at the hotel. Our beautifully furnished short and long term rentals offer a home away from home feeling and far away from impersonal hotel accommodation. With an LCD TV in the living room, spacious dining area with dining table and chairs, plush bed and ensuite bathroom with power shower, staying with us will make you feel at home. We offer our guests with as much privacy and freedom as they desire. It is not much of a holiday if you have to stay cramped in a tiny hotel room. At Carlton Court, we offer commodious apartments featuring separate areas for living, sleeping and dining. If you are travelling with your entire family or friends, all of you can spread out and unwind whilst also enjoying the privacy of your own bedroom. Do you enjoy cooking? Are you travelling with someone having dietary restrictions? Our serviced apartments are the answer to all your problems. At our self-catering Mayfair services apartments, you can prepare your own meals using fresh ingredients. This way, you also get to save money on restaurant and takeaway bills. Compared to hotel rooms in London, serviced apartments offer travellers a cost-effective and comfortable accommodation alternative. When you choose Carlton Court as your accommodation partner, you not only get a luxury apartment, but also complimentary breakfast, housekeeping and concierge services and so on. Talk to us, today!